The main ingredient of NEUPRAMIR is pramiracetam, a pharmaceutical product with nootropic effects. Experimental studies have proved it to be effective in improving memory and learning capacity. This medicine has a sedative effect, which does not influence the activity of the autonomous nervous system. Its action is mildly disinhibitory and antidepressant. Pramiracetam is a nootropic drug derived from piracetam, and is more potent (i.e. lower dosage is used). It belongs to the racetam family of nootropics. Pramiracetam was developed by Parke-Davis based on Piracetam, and is 8-30 times stronger than Piracetam. It goes by the trade name Neupramir or Pramistar. The biggest Pramiracetam manufacture in China supply quality guanteed Pramiracetam 99% by HPLC at compeitive price. Pramiracetam is a nootropics drug derived from piracetam, and is more potent (i.e. lower dosage is used). It belongs to the racetams family of nootropics. Pramiracetam was developed by Parke-Davis based on Piracetam, and is claimed to be 8-30 times stronger than Piracetam. It goes by the trade name Remen(Parke-Davis), Neupramir(Lusofarmaco) or Pramistar(Firma). 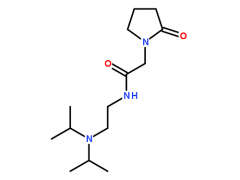 The price of Pramiracetam is currently much higher than any of the other racetams. Limited availability from international suppliers in pill and bulk form. It is common for users to utilize the lower cost racetams by simply taking a higher dose.